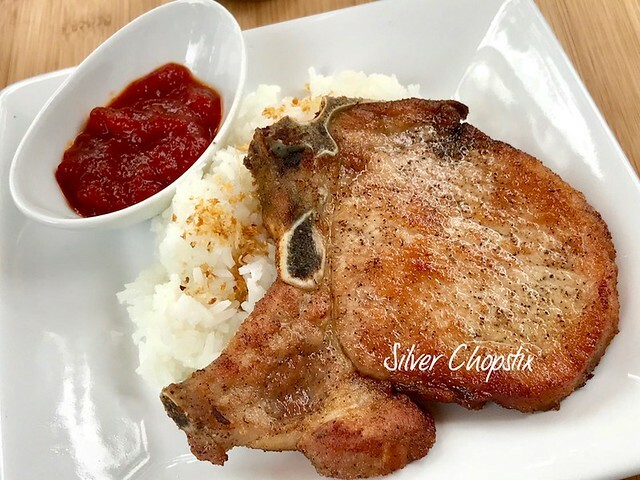 This pork chop recipe uses patis (fish sauce) as seasoning. 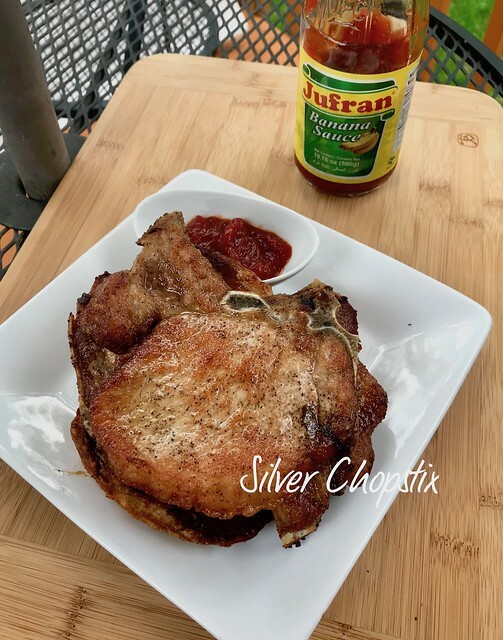 Our family have been using fish sauce to marinate fried chicken and pork chops as far as I can remember. I’ve seen my mom and my Ninang Aveling who is really my aunt do this since I was a kid. Our family is from Navotas which is known as the fishing capital of Manila. It’s also where good quality patis can be found. I grew up using non-commercial patis, we get ours instead from small manufacturers in Navotas. These are usually unlabeled and have a clear and nice amber hue and does not have a funky smell at all. This is why we are really picky when it comes to fish sauce, when you’ve had the best you won’t settle for less. 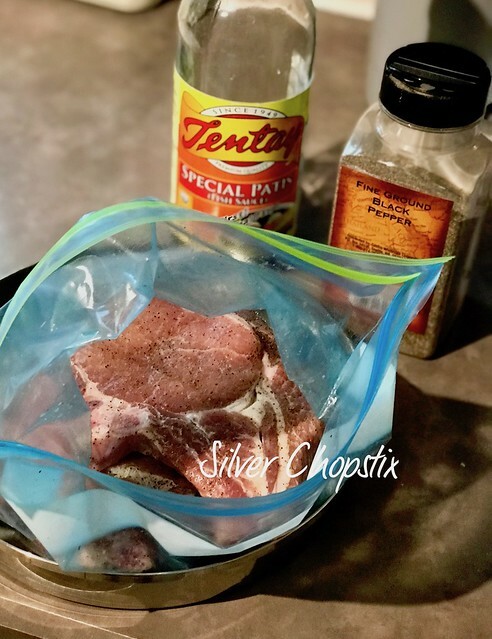 To make, I placed 4 pieces of bone in center cut chops in a freezer bag. Then added 2 Tablespoons of fish sauce (you can use more if you want) then added a packet of calamansi juice since we don’t have access to fresh ones in our area. Here in NJ, I use Tentay Special Patis which is the closest in taste to what we use back home. Make sure that your meat is coated well with the seasonings. I also sprinkled ground pepper by the way. Place this in the refrigerator and marinate for at least 1 hour or preferably overnight. 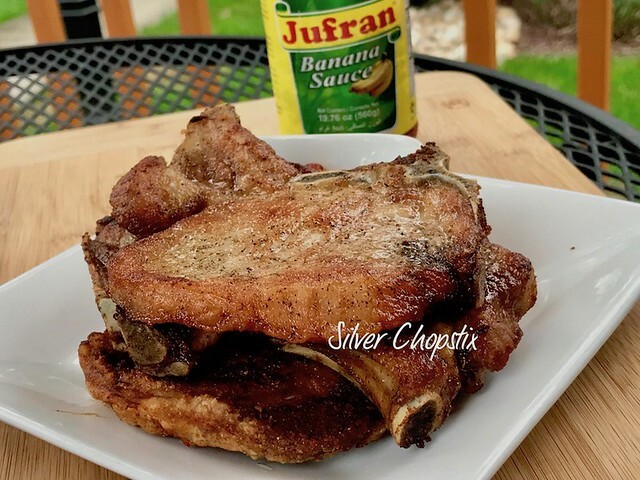 Take your chops out of the fridge and heat about 1/4 cup of vegetable oil in a shallow pan. 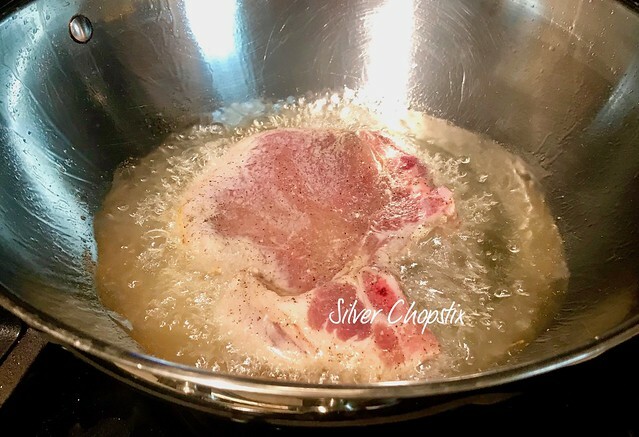 When oil is at the right temperature carefully drop you meat and fry for around 4-5 minutes per side. 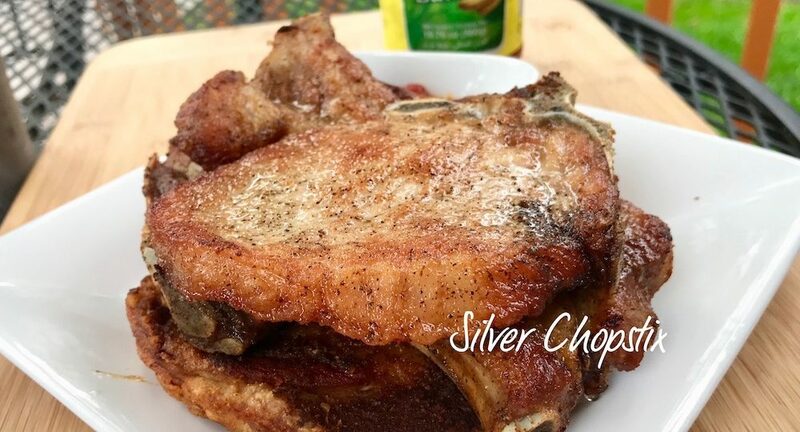 You want your chops to have a nice and even brown color on both sides with a bit of crisp edges. Drain in paper towels. We like to eat it with rice and ketchup.